Club USA Fitness opened its doors on November 1, 1988, and since its inception, Club USA Fitness has provided each member an inviting; exhilarating fitness experience dedicated to helping all members achieve peak performance in every aspect of your life. Our comprehensive approach to health is what makes us unique. 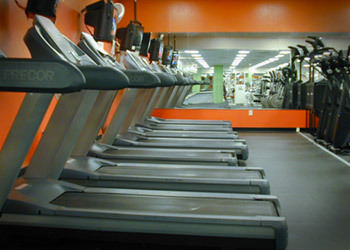 With something for kids, youth, adult, and seniors we like to think of Club USA as your fitness destination. It can be said the quality of a club is reflected in the quality of its members. Nowhere is this truer than at Club USA Fitness, where we take enormous pride in our member community. We cater to those who expect much more than a gym—those who appreciate the attention and thoughtfulness we put into providing an environment that will motivate and inspire. Try Club USA for free with a 3 Day Trial Membership for your entire family. Take one of our group classes, maybe a boot camp; let the kids explore their own specialized area in our Kids Action Fitness section or do some heavy lifting upstairs! Get started now, its completely free! Read more about the history of Club USA Fitness. All new members receive a complimentary 1 hour session with one of our Club USA Personalized Trainer’s. During this session each new member will have the opportunity to choose either an orientation on the Weight Equipment downstairs or a Personalized Training Session. Each session includes Cardiovascular Equipment orientation as well. Schedule your appointments with the Front Desk or call, 303-979-7772, ext. 100. Get started on your fitness goals at Club USA with one of our certified personal trainers. If you are interested in personal training, the most qualified personal trainers are at Club USA. They will provide a world-class experience every time, so that you achieve your health and fitness goals in the safest, most effective way possible. Our programs provide a wide selection of packages, as well as flexibility in booking appointments so that personal training can fit into virtually any schedule or budget. PLATE LOADED & SELECTORIZED EQUIPMENT–we’ve got it all. 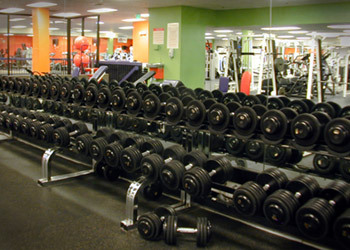 Club USA’s 15,000 sq ft weight room is well-equipped for all levels and varieties of training styles. If you enjoy the power and strength achieved through lifting free weights you’ll be happy to know our dumbbells range from 3 to 150 lbs. We also offer plate-loaded Hammer Strength, Magnum & HOIST equipment along with Simplicity, Cybex and Magnum selectorized pieces. Cybex multi-functional trainers, Smith press machines, cable crossovers, and pre-made straight and curl bars are available to help you achieve a full body work out. Group Fitness Classes, We’ve got ’em. And whether you’re a novice or an expert, you can benefit from our specialty fitness programs and personal training at Club USA Fitness. Our experts will ensure that your workout is the most efficient and effective way to achieve your individual goals. Club USA Fitness offers members an inviting, exhilarating fitness experience with group fitness classes; providing innovative signature classes like Boot Camps, Zumba, Indoor Cycling, and Yoga that will test your limits. Our seasoned, cutting edge roster of instructors have the experience and knowledge to help you meet any fitness challenge. Try Club USA for free with a 3 Day Trial Membership for your entire family. Get started now!